Relationship Development Intervention (RDI) is a trademarked proprietary treatment program for families affected by Autism Spectrum Disorders, as well as other individuals struggling with relationship, communications, learning, emotional and self-regulation challenges. RDI is a parent-based training and supervision program that aims to restore the development of dynamic intelligence, which is the key to improving the quality of life for special needs individuals. Built on the foundations of the emerging science of “Neuroplasticity”, the program provides training to parents to redo the neurological pathways disrupted by Autism or other childhood disorders. RDI consultants serve as guides to the parents to gradually unravel the very complex problems of understanding how to help each vulnerable individual. Learn about Dynamic Intelligence and how this ability opens the door for greater quality of life in the 2st century. Topics covered include the research on Autism, an overview of the RDI program and how it targets lack of experience sharing communication, self-awareness, episodic memories, dynamic appraisal and creative problem solving abilities in individuals with ASD. The session will include topics on parents’ readiness to begin Autism remediation the process of working with an RDI Consultant and the RDI Learning System. Parents will learn about making life style changes through meaningful daily opportunities and dynamic communication. Audiences will learn through interactive activities, video analysis and lively discussions to implement a few beginning RDI objectives at home. Stephanie Lopez-Sy, Director of MindFrames Integrated Learning Center is a certified Early Childhood Special Education Interventionist at The Santa Clara County Office of Education in San Jose and Milpitas, California. 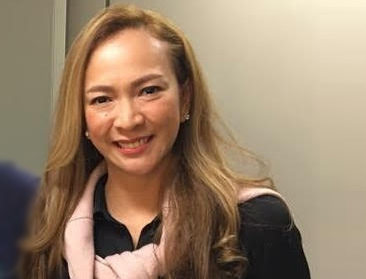 She graduated with a Masters Degree in Special Education from the University of the Philippines and pioneered the formal study of the principles of “behaviour” and “behaviourism” among children and dogs in her work, “Dog-Assisted Therapy Among Children with AD/HD and Autism” in the Philippines. Teacher Steff is also a P.E.C.S., T.E.A.C.C.H, and A.B.A. practitioner who advocates on empowering parents and their families through parent seminar and trainings for the various approaches on the education of children with special needs especially of those with moderate to severe disabilities. Teacher Steff believes that the best therapist and intervention begins at home. She is now currently the first and only Certified RDI Consultant candidate in the Philippines and is hoping to share more of RDI to parents and future consultants in the country to make a brand new hope to families of children and adults with ASD. Pre-registered participants may pay to Autism Society Philippines, Metrobank, Kamias Branch Account Number 047-3-04751874-2. Please email the scan copy of your deposit slip with the name/s of participant/s and contact numbers to autismphils@gmail.com and bring it on the day of the seminar. On-site registrants or walk- in will be accepted depending on the availability of slots. There will only be 70 slots available. No refund will be given to participants who do not show up on the date of the seminar. For more details, please call ASP at 02-903-5496.